Our recruitment experience and talented and proven recruitment professionals are key to our targeted and tailored consulting services. 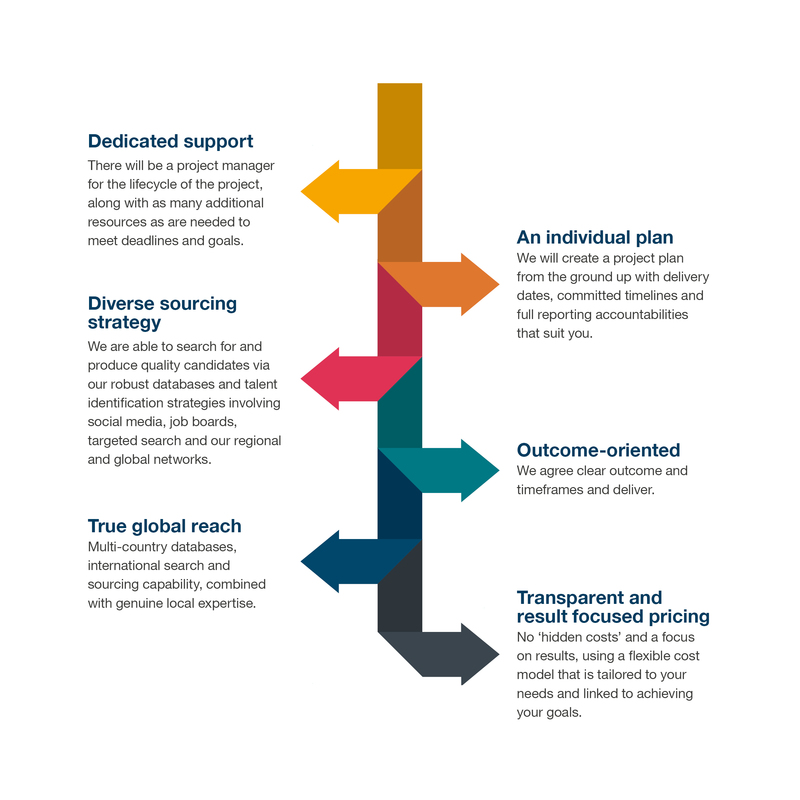 Whether you are a very small business, a small and medium-sized enterprise or a large corporation, we provide one-off and long-term support for a range of talent acquisition needs by designated experts to your company tasked with fulfilling your sourcing requirements. This step consists of establishing your specific needs and understanding the job profiles you need to meet your expectations. At the end of the brief, we will design and recommend customised solutions to manage your resources efficiently within your budget. By choosing Page Project Outsourcing (PPO), you will benefit from the value-added expertise of our entire group, and enjoy a truly unparalleled local, regional and global experience. A PPO manager will be your dedicated point of contact for the duration of the project. They will work to have a deep understanding of your core business needs, your organisation and your culture. As recruitment experts, we will optimise your recruitment and mobility processes, and recommend the top talent to help drive your current and future strategy.